HONG KONG: A top mainland official has expressed confidence that most Hongkongers will accept a controversial plan to have national laws enforced at the Hong Kong end of the high-speed rail link to Guangzhou, and no interpretation of the city’s mini-constitution is necessary to enable it. Wang Guangya, director of the State Council’s Hong Kong and Macau Affairs Office, said on Monday that city residents were “calm” about leasing part of the West Kowloon terminus to mainland authorities for joint checkpoint facilities, echoing Chief Executive Carrie Lam Cheng Yuet-ngor’s assertion that the public would eventually accept the “co-location” deal. As opposition politicians spearheaded a campaign against the plan, accusing the local government of ceding territory to the mainland and undermining the “one country, two systems” principle, Wang said the general response had been “rational”. Opposition legislators have already joined forces with more than 90 organisations and individuals to form a concern group. They lave launched a signature campaign and will try to block the “co-location” plan when it gets to the Legislative Council. Lam struck a similarly optimistic note after a meeting at the headquarters of the state-owned China Railway Corporation in Beijing. “The Hong Kong public is calm in general, and understands the explanation ... Opinion polls show that the majority of people look forward to the official launch of the station,” she said. She said the government was unworried by legal challenges to the arrangement, as it was acting on solid legal foundations. Her administration would not ask the national legislature to reinterpret the Basic Law on the topic, she added. Under the arrangement, when the HK$84.4 billion railway is up and running in the third quarter of next year, mainland officers will be able to exercise almost full jurisdiction in a 25 per cent portion of the terminus that the central government will lease from the local government. Hong Kong currently cannot lease land in that manner, but will seek permission from the National People’s Congress Standing Committee under Article 20 of the Basic Law, which allows Beijing to grant the city the power to do so. Before heading into the railway meeting on Monday, Lam stressed the importance of the project for Hong Kong’s economic and social development, especially in terms of youth employment. 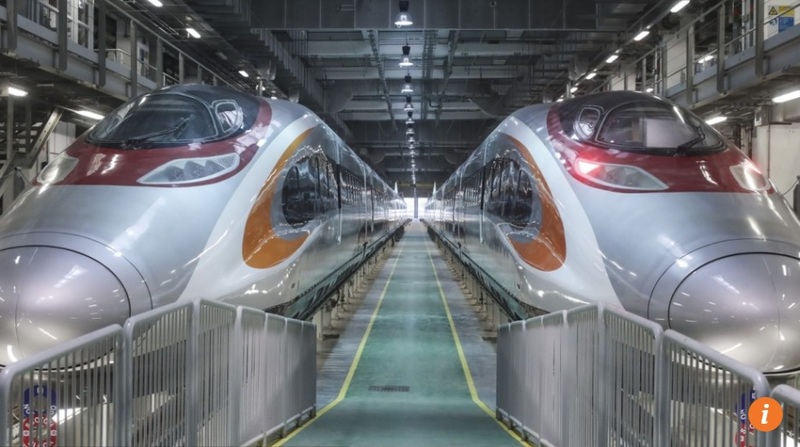 “We are confident that in the next two to three months, Hong Kong citizens will welcome the joint immigration and customs facilities at the high-speed railway after thorough explanation,” she said. China Railway’s general manager, Lu Dongfu, said the cross-border link was an integral part of the country’s infrastructure network and would play a major role in strengthening ties between Hong Kong and the mainland. Basic Law Committee vice-chairwoman Elsie Leung Oi-sie also defended the arrangement, saying separately that it complied with the mini-constitution and that people’s freedom would not be under threat. During a radio show, the city’s former justice secretary brushed aside claims that the arrangement would contravene Article 18 of the Basic Law, that states national laws should not be applied in Hong Kong, except for those related to foreign affairs, defence and other matters outside the limits of the city’s high degree of autonomy. Also on Monday, pro-establishment groups set up a coalition to support the co-location arrangement. Clarence Leung Wang-ching, a spokesman for the coalition, said more than 20 groups and individual members were on board. The opposition group’s interim convenor, Civic Party legislator Tanya Chan, said it was too early for Wang to declare that the majority of Hongkongers were in favour of co-location. She reiterated demands for a formal consultation exercise as the best way to gauge public opinion.